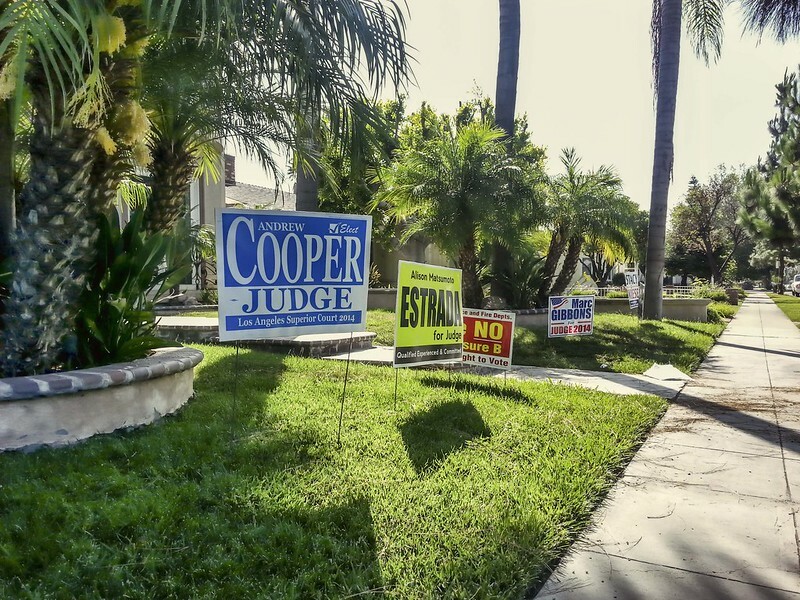 Today was election day and the lawns around our neighborhood were virtual platforms for the candidates. This house took the "award" in my estimation for most candidates supported. According to the Whittier daily news, Mario Gurerra and Tony Mendoza were early leaders in the race for Ron Calderon's state Senate seat. It will certainly be interesting to see what happens in November. "The people who cast the votes don't decide an election, the people who count the votes do."